Tell a Story in 10 Frames - "Josh & Alex"
Can you tell a story in just 10 frames? My bet is that you can. For me, most slideshows go on too long. So I gave myself the assignment to create a series of movies that told a story in only 10 frames. I've published the first entry, Josh & Alex Wedding in 10 Frames. I created this movie in iPhoto '09, then exported it as a QuickTime file. I then posted it to The Digital Story Flickr page, where I'll be adding more to this series soon. Special thanks to Danielle for her contributions to this project! 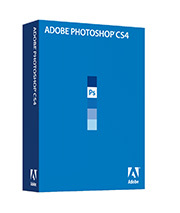 The Photoshop 11.0.1 update addresses key issues reported by customers that may impact performance. The update also includes the following enhancements: the ability to correctly recognize 3D textures edited by plug-ins; improved quality of Auto-Blend Layers (Stack Images); and fixes for issues that can be caused by corrupt fonts or when pasting formatted text. "Here's a shot I took while attending a City Lights workshop held at dusk in Brisbane, Australia," writes Paul Merrett. 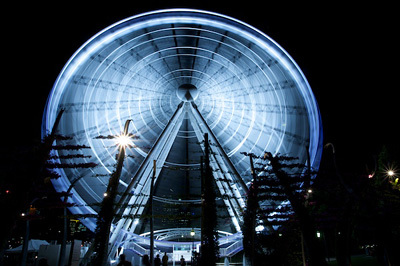 "The science fiction looking device shown is a 60m (200 ft) high ferris wheel called The BIg Wheel. We had started shooting it from different angles while the sunlight faded." "I decided to try a shot of The Big Wheel from much further back. For this version, the white balance was set to Tungsten as a suggestion from the instructor who wanted us to experiment with different settings. Other parameters were, ISO 50, f22, 17-40mm f4L lens set to 17mm, Canon 1D Mark III, tripod and self timer." "When I reviewed the shots later in Aperture, I liked this one the most -- even better than the other "correctly white balanced" frames, and better than the faster shutter speed shots that clearly showed the gondolas attached." Canon announced that their zoomerific PowerShot SX1 IS will be Raw enabled this spring. They will release a firmware update that will unlock this capability giving shooters the added benefit of Raw capture on this compact camera. By doing so, Canon has provided a nice alternative for those who want the 28mm to 560mm zooming range of the SX1, but aren't interested in lugging around a DSLR and telephoto lens. 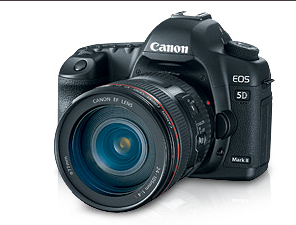 The Canon SX1 has many interesting features for the photographer on the go. It uses AA batteries that are easy to find anywhere in the world. It can record HD video (1920 x 1080) and high resolution Raw (3648 x 2736), and it accepts a Mini-HDMI to HDMI cable so you can plug it directly into an HD television for movie or slideshow playback. 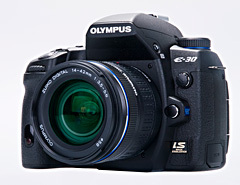 (You can read a good review of this camera on photographyBLOG). If you want to shoot 10 megapixel Raw on a compact camera with a powerful zoom and HD video capture, then take a look at the Canon PowerShot SX1 IS. You should be able to download the Raw firmware update next month. You can now post and read reviews for all of the Red River paper stocks on their site. This new feature was just launched, and I thought that our virtual camera club could help get things rolling by posting reviews of your favorite papers. Red River is a solid supporter of The Digital Story, and their product is outstanding. I just posted a review of Arctic Polar Luster, the surface that I like best. If you haven't tried Red River paper yet, you can get their Sample Kit for $7.99, including free shipping. You get two 8.5" x 11" sheets for 19 different papers. It's a great way to discover the best stock for your printing needs. Have you ever watched those timelapse videos of someone building a house or creating something else cool? I just found this nifty SiteGrinder movie on YouTube by Fmlad where an entire web site is designed in 8 minutes. I think this piece does a good job of giving you a feel for the power of SiteGrinder 2. Here are five things you need to keep in mind when shooting in low light. Follow these tips, and your shots will amaze even you, let alone those you share them with. After the wedding was over, our next challenge was to cull the best images from the 2,300 shots we captured over the course of the day. Between the two of us, we had amassed over 32 GBs of Raw files, and we had to transform that data into a customer-friendly deliverable. My assistant, Danielle, uses Adobe Photoshop Lightroom for her post production. 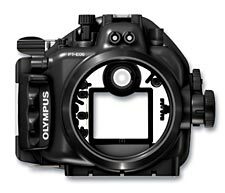 I use Apple's Aperture. By midweek, Danielle had worked through the entire shoot, and delivered a CD to me of high quality Jpegs (at full 5D Mark ll resolution). I had already winnowed down my shoot to a collection of favorites. I integrated Danielle's picks with mine in Aperture, then sorted by "time captured." This put the entire shoot in order. The only slightly strange parts were when I went off to shoot the boys before the ceremony, and she was shooting the empty reception hall. But other than that, everything meshed together perfectly. The final gallery count was 447 -- that included both Danielle's and my best shots. I then exported the images out of Aperture as high quality Jpegs constrained at 2200 pixels in either direction. 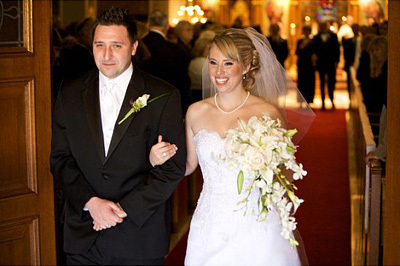 The pictures were uploaded to my Shutterfly Pro account, and I sent the URL out to as many family members and wedding participants as I had email addresses for, encouraging them to pass along the link to anyone they wish. On Shutterfly, viewers can watch a slideshow or manually click through the images in the gallery. If they see something they like, they can order a print on the spot. 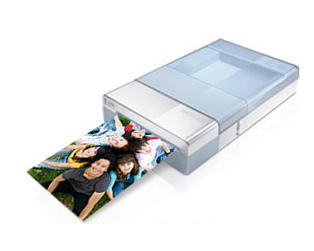 Shutterfly handles the printing, business transactions, and delivery. I can monitor activity via my Shutterfly Pro account. I also prepare a CD of high resolution Jpegs and send it to the clients. I know a lot of photographers don't believe in this, but I want my clients to have their own master collection that they can play with and print as they wish. That will be the last step for me in the assignment. Then I can check it off my list and move on to next week's work. 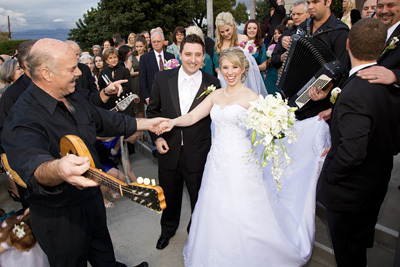 Photo of happy couple after the ceremony by Derrick Story, captured with a Canon 5D Mark ll using fill flash. "I took this shot while attending (for the first time) the 2009 Imaging USA--the annual conference of PPA," writes Paul Leasure. 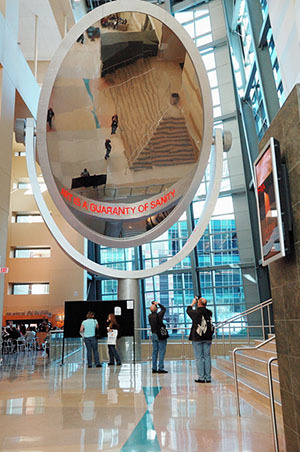 "This shot was taken in the Phoenix Convention Center where this mirror rises approximately 90 feet from its base below the grand atrium." Paul used a Nikon D70S at 1/80 second at f4.5 and ISO set to 640. The focal length was 24mm. 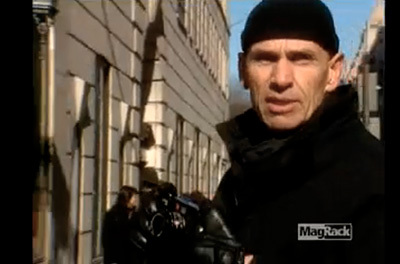 Joel Meyerowitz is a serious photographer who specializes in street shooting. Since this month's Photo Assignment is "Street Shot," I thought you might enjoy this video by Joel on street photography. 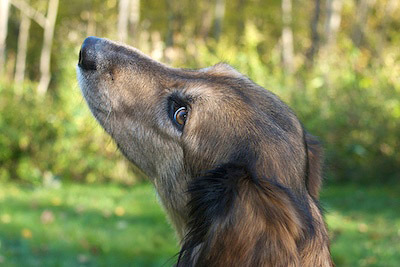 He provides lots of tips on how to position yourself and what to look for. As I mentioned earlier, Street Shot is the February 2009 Photo Assignment. Time to hit the pavement and discover the interesting moments of life that happen all around you. You can read more about how to submit on our Submissions page. Deadline for entry is Feb. 28, 2009. The Canon 5D Mark ll looks good on paper, but what happens when you're faced with a challenging assignment, such as this wedding in a dimly lit church? You'll find out in this podcast where I field test the camera and report on the results. 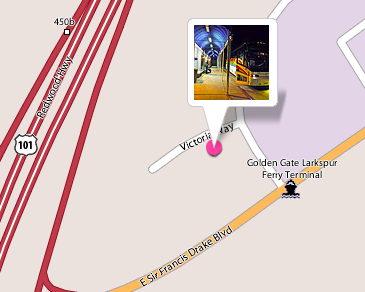 Now that there's a Mac version of the Jobo photoGPS software, I could streamline my workflow for geotagging a journey home from a business trip. As I left the last meeting of the day at Lynda.com, I mounted the Jobo photoGPS Geo Tagging Flash Shoe on my Canon 5D Mark ll and documented my departure. I snapped pictures all along the way. It was a car-plane-bus-car trip making it perfect for documenting. 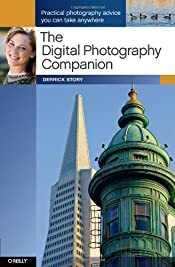 Once I returned home, I had the photoGPS write the geodata directly to the Jpegs on my memory card via the photoGPS software and my card reader, then I launched iPhoto '09 and imported the images off the card and into the application. This two-step process actually went faster than I anticipated. I chose the images I liked, put them in an iPhoto album, then uploaded directly from iPhoto to Flickr. In order for your geodata to travel with your images into Flickr, you have to set the permissions in your Flickr preferences. Go to Your Account > Privacy & Permissions > Import EXIF location data (yes). Do this before you upload your images from iPhoto. Also in iPhoto, you can add descriptions for each image, and those captions will travel with the photos in to Flickr. In my case, I told the story of a business trip home. You can see it by visiting From Lynda to Home. As you click from image to image, you learn about each stop along the way. If you click on the map link for each photo, you can see the location where it was taken. 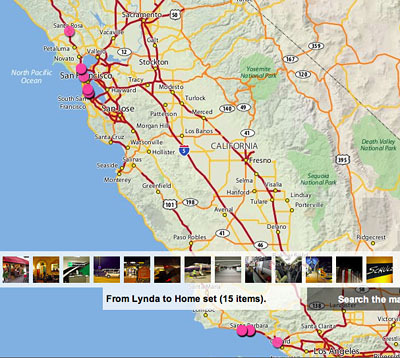 You can also click on the map link for the set to see all of the pins for the entire journey. By clicking on the detail link for the set, you're presented with medium thumbnails for the trip with captions and map links. 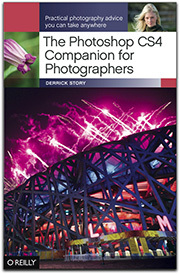 Flickr provides you with many different views and lots of information. It's really quite useful. I'm going to keep playing around with this particular workflow. But I thought you'd like to see what can be done, even at the early stages. 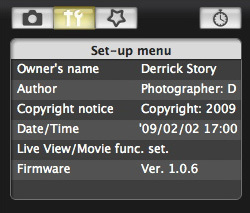 If you don't have a geotagging device such as the photoGPS, you can add the geodata in iPhoto '09, then upload to Flickr. 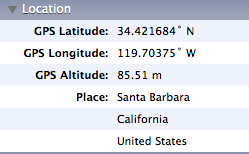 You don't get as much geodata that way, but it's still a great option. Sometimes you get lucky. During the rehearsal, I was concerned because the couple was standing beneath a bank of lights shining directly down on the tops of their heads. I wasn't sure how I was going to capture flattering shots of them. To make matters worse, the wedding coordinator had specifically requested that I didn't use flash during the ceremony. Here's where I got lucky. The next day, I'm in position during the ceremony, and it's the priest is standing in the glaring light, not the couple. 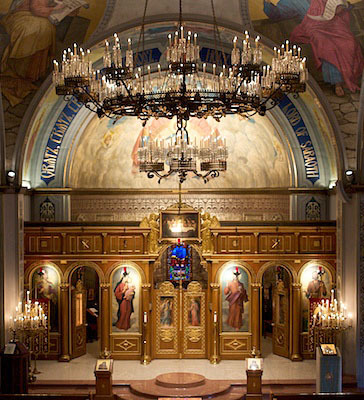 This time, they were standing back a few feet basking in the glow of light bouncing off the white robe of the priest. He was a human reflector. I composed the shot on a Canon 5D Mark ll with the 70-200mm f/2.8 IS lens set wide open. The shutter speed was 1/60th of a second and the ISO was set to 1600. I had enough light, and more importantly, the right kind of light, so I never considered turning on the flash. Prepare for the worst and hope for the best. In the next installment I'll talk a bit about the post production of four, full, 8 GB cards. 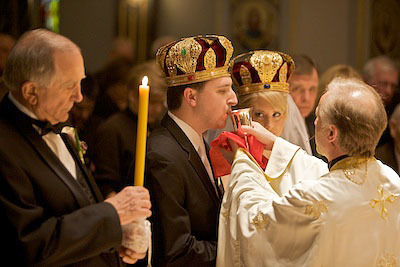 Photo of wedding ceremony by Derrick Story. It's true, every wedding is different. But oddly enough, I prepare for each one the same way. So I thought it would be fun to walk you through a wedding weekend where my assistant and I are the photographers. We've already completed the planning for the event. I have a detailed shot list that the clients and I have agreed to. So the next step is rehearsal night. Yes, I go to the rehearsal. I believe this is one of the keys to my success. Both my assistant and I show up with shot list in hand. We make notes about the environment. We meet the family members and note their names. The rules of the road are explained to us by the wedding coordinator. And we have a chance to scout out locations for the various group shots on our list. After the rehearsal is over, we compare notes and prepare for the big shoot the next day. Tonight, we'll also make an appearance at the rehearsal dinner. I'll have a bite to eat and snap a few candids. This gives me the opportunity to see if I have any "blinkers" in the wedding party and discover any other quirks that I should know about. Once I have my plan in place, I go to bed. No late night partying, no goofing off. 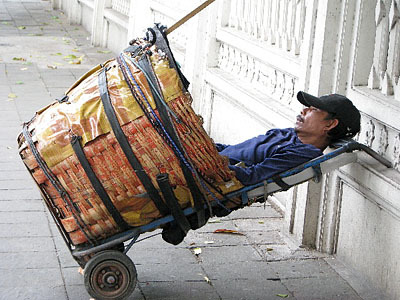 I need to be fresh and on top of my game for the upcoming event. I'll probably post the next installment in this series tomorrow morning. Until then, wish me luck. In a recent podcast on setting goals, I mentioned that 2009 might be the year you finally publish that great photography web site you've always wanted to have. Or if you have a site, but it's long in the tooth and not what you want, then this could be the year to give it a major face lift. 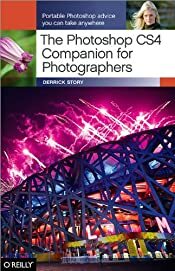 I think web sites are important for photographers of all levels. They serve as your showcase so people can find and enjoy your work. 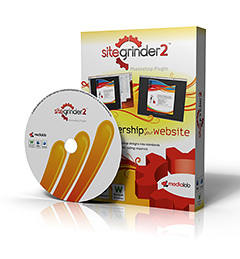 "Media Lab’s SiteGrinder 2 plug-in converts Adobe Photoshop into a powerful, intuitive website development system that makes it easy. SiteGrinder 2 and Photoshop are everything you need to create gorgeous websites that look exactly like your Photoshop designs. With the click of a button, SiteGrinder 2 effortlessly transforms Photoshop files into professional quality, CSS-rich webpages. SiteGrinder 2 gives complete control over every aspect of your website’s design and functionality ... all without leaving Photoshop. SiteGrinder 2 writes the HTML, CSS and other web programming code so you don't have to." Over the course of the next few months, I'm going to show you the ins and outs of SiteGrinder. But first, I want you to have a solid introduction. So here are a few things to look at now. The SiteGrinder Tour walks you through a series of captioned screenshots that introduce you to the plug-in's basic concepts and operation. It only takes a few minutes to click through the slides, and I found them very helpful. The Big Idea page is quite informative. And hanging off of it, you can drill down into a number of features that are explained in detail. 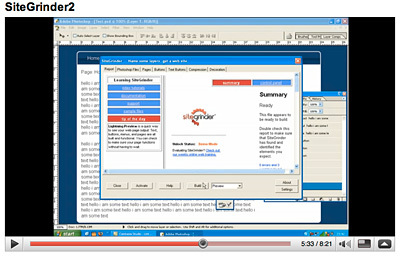 You can also watch screencasts that demonstrate in realtime how to use SiteGrinder. They don't use the current version, but I still found them helpful. You can download a trial version and test it for yourself. SiteGrinder will watermark graphics until you unlock the trial. SiteGrinder works with Photoshop 7 and newer on both Mac OS X and Windows. And if you're not a Photoshop user, but have Photoshop Elements 3 or newer, SiteGrinder works with those host applications too. You can buy either the Basic ($129) or Pro ($349) version. Here's a Comparison Chart that shows you the feature differences. And finally, if you'd like to see some sample sites created with SiteGrinder, peruse the links on this page, there's some fun stuff to look at. In the next installment, I'll talk more about how to set up your Photoshop document for SiteGrinder conversion.